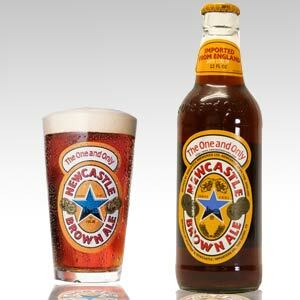 Newcastle Brown Ale is a famous brand of dark brown beer that is brewed in Newcastle upon Tyne. This ale is a mixture of 2 ales - one a strong dark brew while the other is a lighter blend. This Brown ale was first brewed in 1927 and is famous for its distinctive deep red color and rich creamy head. Newcastle has the distinction of being the oldest beer-making city in the UK. This northeastern brew has been granted European Union's Protection of Geographical Indications (PGI) status. This indicates that Newcastle Brown Ale is protected from imitations and is limited to being brewed only in the north east of England. Brown ale is always served cold, unlike other British beers. This ale is served in half-pint glasses and is characterized by its pronounced frothy head. In April 2004, Scottish and Newcastle, the manufacturers of the Brown Ale announced that they would be moving their production to Duston Federation Brewery in Gateshead.